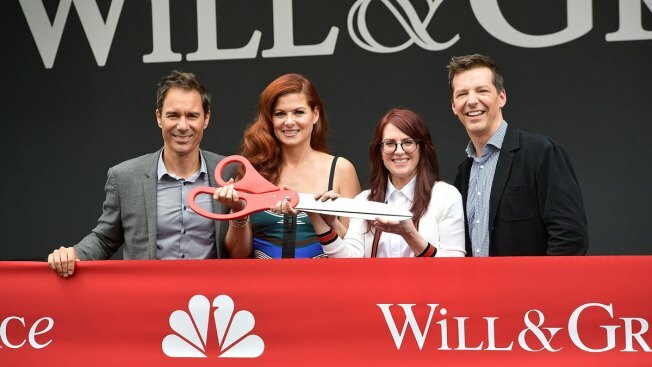 Actors Eric McCormack, Debra Messing, Megan Mullally, and Sean Hayes attend the "Will & Grace" ribbon cutting Ceremony on August 2, 2017 in Los Angeles, California. The revival of "Will & Grace" has yet to air, but NBC says it's getting at least a second season. Co-creators Max Mutchnick and David Kohan are back as producers of the "Will & Grace" reboot, which debuts Sept. 28.